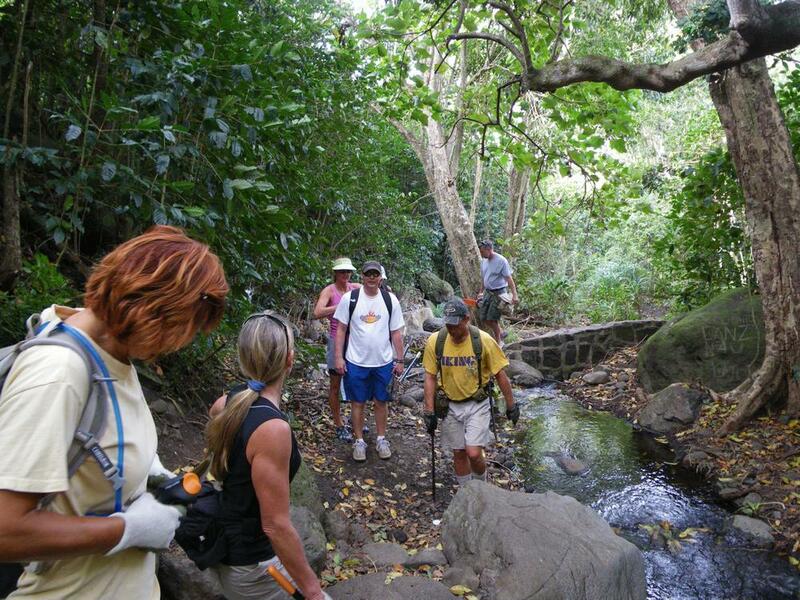 On April 11th the Hawaiian Trail and Mountain Club will be hiking this Members Only hike. Today and the following Sunday the West Side Hikers got together to clear the trail. We were out for "blood" with two heavy duty loppers, one hand saw and my 12" chain saw. This is that story with pictures taken by Jane, Stanka and myself. We headed up the south road and at Lookout Point cut down into the bush. Here we are crossing Kaniwai Stream and it's lower dam.